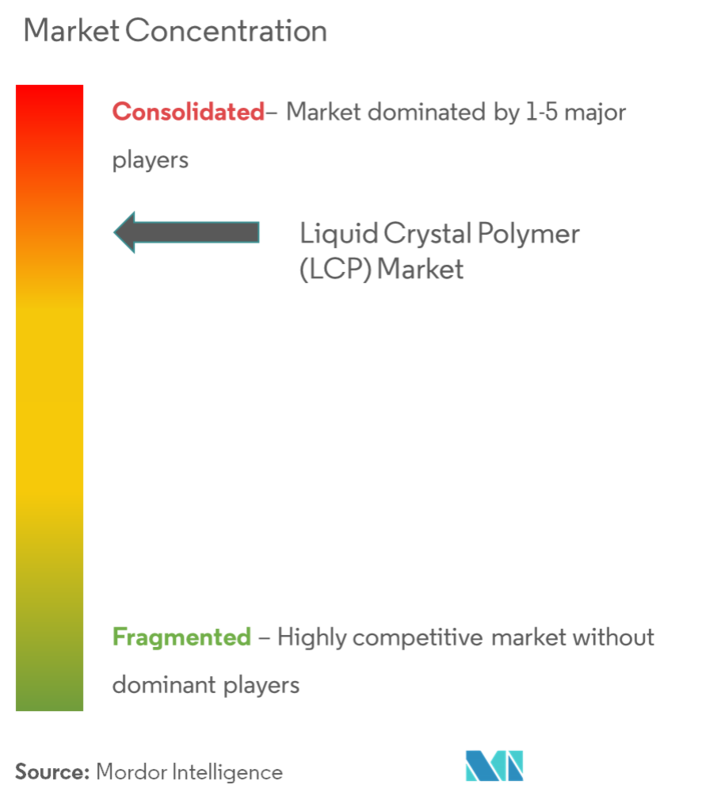 The market for liquid crystal polymers (LCP) is expected to record a CAGR of 4.64% during the forecast period 2019 – 2024. One of the major factors driving the growth of the market studied is the strong demand for smaller and thinner electrical components that must withstand higher temperatures and wear. Many of the customers engaged in the manufacture of electronics components are establishing manufacturing operations in China, and therefore, the greatest demand for LCP, used for such components, is coming from China. Liquid crystal polymer (LCP) is a super engineering plastic, with a combination of high strength, modulus and impact properties, flame retardance, resistance to a wide range of aggressive chemicals, very low and tailor-able coefficients of thermal expansion (CTE), excellent dimensional stability, thin-wall flow-ability, and unique proccessability. With the miniaturization trend of many electronic products, manufacturers are streamlining devices to pack more features into smaller packages. For instance, the pitch (spacing) between contacts in electrical connectors is narrower than ever before, and as small as 0.2 mm, when compared to older-style power connectors, with pitches exceeding 12.0 mm. For the same reasons, LCPs are also injection molded into integrated circuit (IC) sockets, high-frequency (HF) network switches, power modules for wind and solar inverters and converters, custom high-power electrical connectors, and many other precision devices. Daily use of electronic equipment, like cell phones, laptops, or tablet PCs, is increasing at a rapid pace. At the same time, these devices are becoming more powerful and inexpensive from generation to generation, while decreasing in size and weight. LCP is delivering the properties that permit successful development of the miniaturization of electrical equipment. Such factors are expected to drive the global LCP during the forecast period. 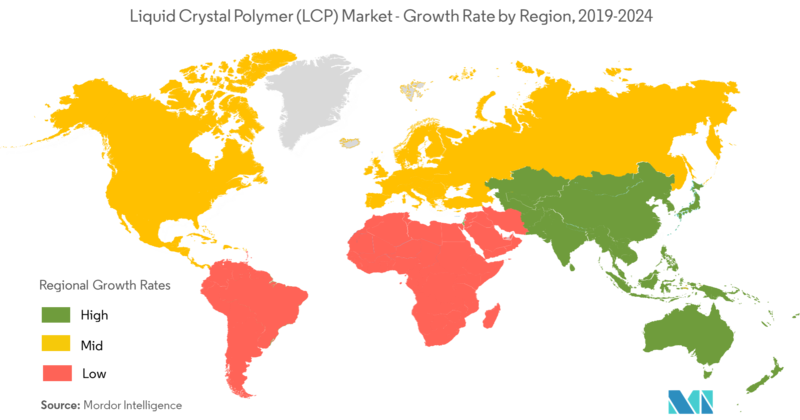 The Asia-Pacific region dominated the global market share in 2017. China is the world’s largest electronics production base and offers a tough competition to existing upstream producers, like South Korea, Singapore, and Taiwan. Electronic products, such as smartphones, OLED TVs, tablets, and so on, have the highest growth in the market in the consumer electronics segment. 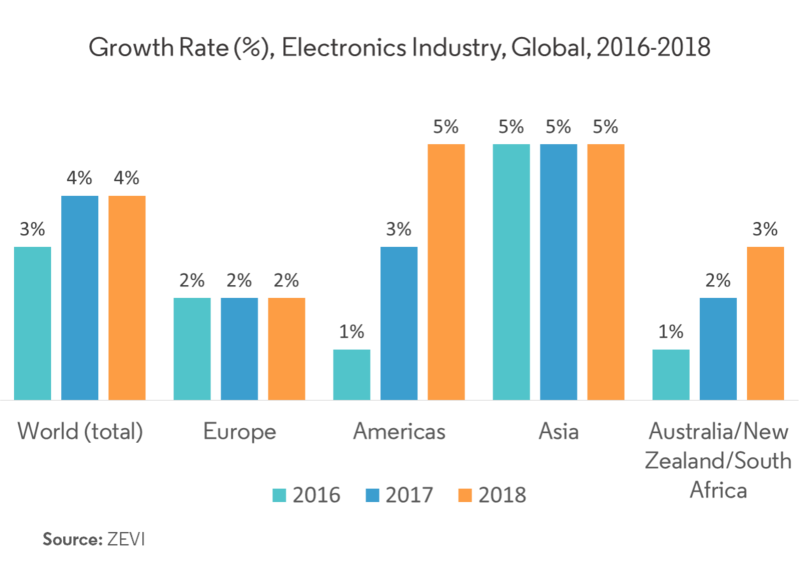 The electronics manufacturing industry is constantly moving to China, as a result of low cost and increasing demand of electronics products. 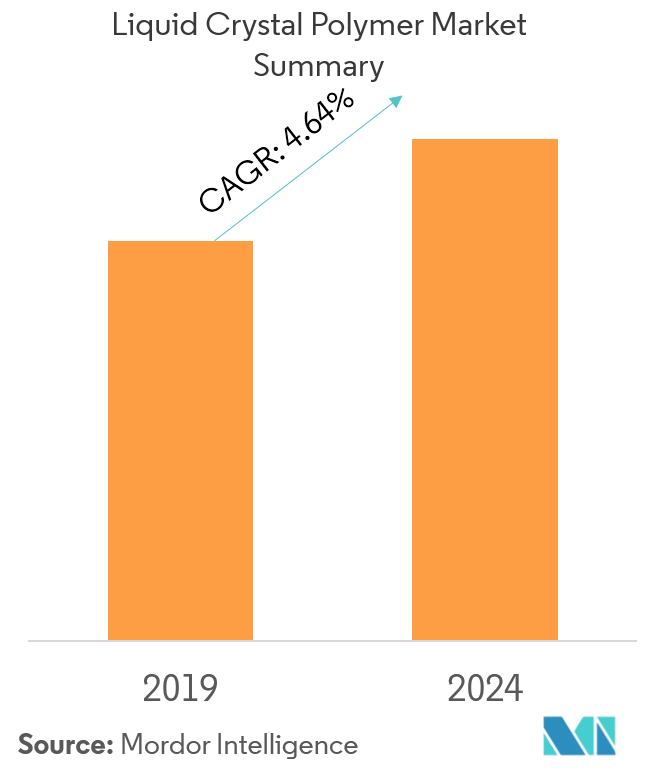 With the increase in the disposable income of middle-class population, the demand for electronic products is projected to grow in the near future, thereby, driving the liquid crystalline polymers market. Additionally, the US aircraft giant Boeing and Chinese aviation manufacturer Commercial Aircraft Corporation of China Ltd (COMAC), are together planning to build a Boeing 737 production system, with a capacity of 100 planes in Zhoushan area of China, which will start its operation by 2018. This factor is likely to drive the aerospace manufacturing industry, which, in turn, is expected to boost the demand for liquid crystalline polymers, for aerospace and aviation applications. Hence, such factors are expected to drive the demand for LCP in the region. The global liquid crystalline polymers market is consolidated, with the top five companies accounting for over 85% of the global production. Key players in the global LCP market include Polyplastics, Celanese Corporation, Sumitomo Chemical, Solvay and other prominent players include Toray, Shanghai Pret Composites Co. Ltd, Chang Chun, and Ueno Fine Chemicals Industry Ltd among others.